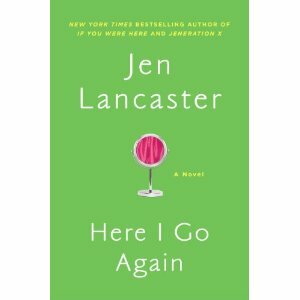 I am a HUGE fan of Jen Lancaster's writing. She is witty, humourous, entertaining and brilliant. I've read all of her books so far and just finished Here I Go Again. It did not disappoint. Twenty years after ruling the halls of her suburban Chicago high school, Lissy Ryder doesn’t understand why her glory days ended. Back then, she was worshipped...beloved...feared. Present day, not so much. She’s been pink-slipped from her high-paying job, dumped by her husband and kicked out of her condo. Now, at thirty-seven, she’s struggling to start a business out of her parents’ garage and sleeping under the hair-band posters in her old bedroom. I highly recommend this for anyone who is looking for a fun, girly, easy summer read!